Welcome to the 2018 edition of the Mobile CS Principles course. Please register to freely view the full curriculum; only Unit 1 and parts of Unit 2 are avialable without registration. To see the updates and changes that were made for this edition of the course, click here. This course is supported by Mobile Computer Science Principles (Mobile CSP), an NSF-funded effort to provide a broad and rigorous introduction to computer science based on App Inventor, a mobile programming language for Android devices. Mobile CSP is a program of the National Center for Computer Science Education. The course is based on the College Board's emerging Advanced Placement (AP) Computer Science Principles curriculum framework for introductory computer science. 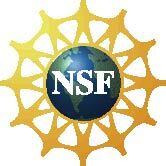 The material on this site is based upon work supported by the National Science Foundation under Grant Nos. CNS-1240841, CNS-1440947, CNS-1637601, CNS-1836990, CNS-1836983, CNS-1837112, and CNS-1837723. Any opinions, findings, and conclusions or recommendations expressed in this material are those of the author(s) and do not necessarily reflect the views of the National Science Foundation. License: Unless otherwise noted, the materials on this site are licensed under Creative Commons Attribution-NonCommercial-ShareAlike 4.0 International (CC BY-NC-SA 4.0). Teach Mobile CSP website Lesson Plans, Assessments, Pedagogy, etc.